The discovery of a box of hidden notebooks by Antonio Pérez, Felipe II’s secretary, leads to the uncovering of a previously unknown history of Spain. In his book, the secretary admits that, during his last days, he has been kept alive thanks to the trunk filled with documents, official papers, letters and a wide variety of material that implicates the monarchy, the church and almost all the Spanish nobility, from the Catholic Kings to Carlos V and his enigmatic heir, in murder and sinister strategies to maintain power. This is the last confession of Antonio Pérez, the most feared accuser of the powerful who ultimately becomes a victim of his own accusations. 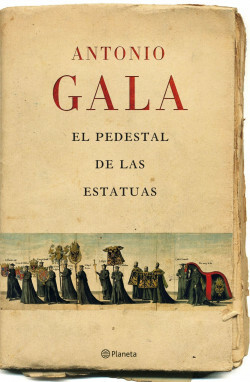 In this passionate and unfettered book, Antonio Gala shows us the other side of the powerful members of a court with a Medieval heritage, implicated in a series of unimaginable plots that cast a shadow over Spanish history.